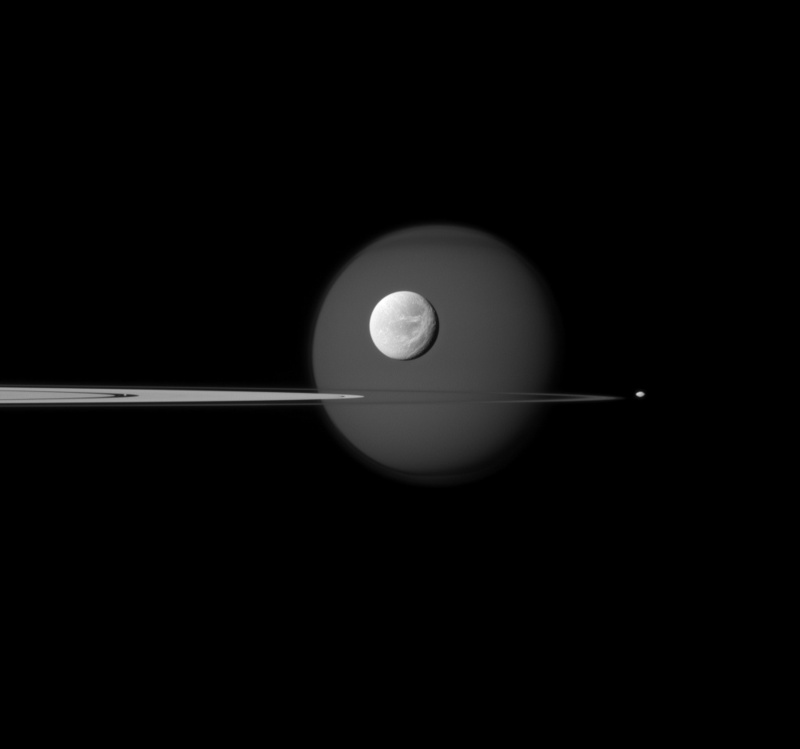 New image from Cassini and the CICLOPS imaging team shows Titan, Dione, Pan and Pandora in the same shot! Pan is furthest to the left, a tiny moon tucked into the gap in the rings. Dione hovers in front of the cloud-covered Titan, and Pandora is the football-shaped moon just outside the edge of the F ring at right. Just a few of the many and varied satellites that orbit Saturn!